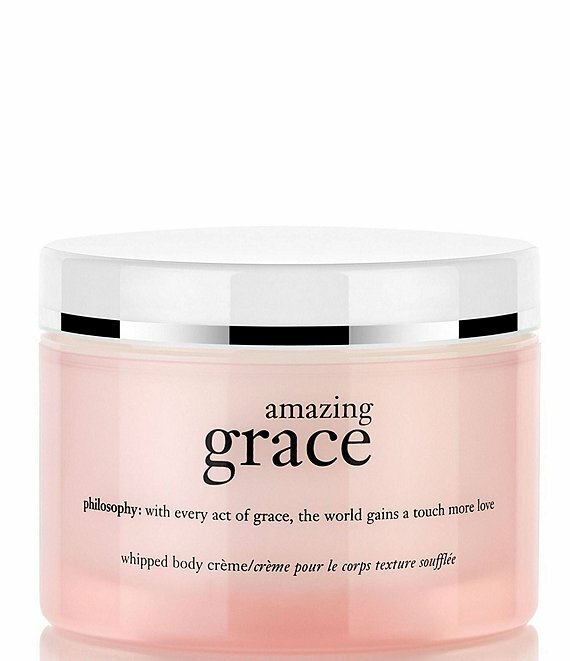 Amazing grace whipped body creme melts onto skin to moisturize and leave skin silky soft. It is lightly fragranced with the clean, floral scent of welcoming bergamot to greet the senses, irresistibly soft, clean muguet blossoms and lasting musk with its classic beauty. Massage onto skin after bath or shower.